Kick the myth about energy alternatives and start saving money for your business and home. 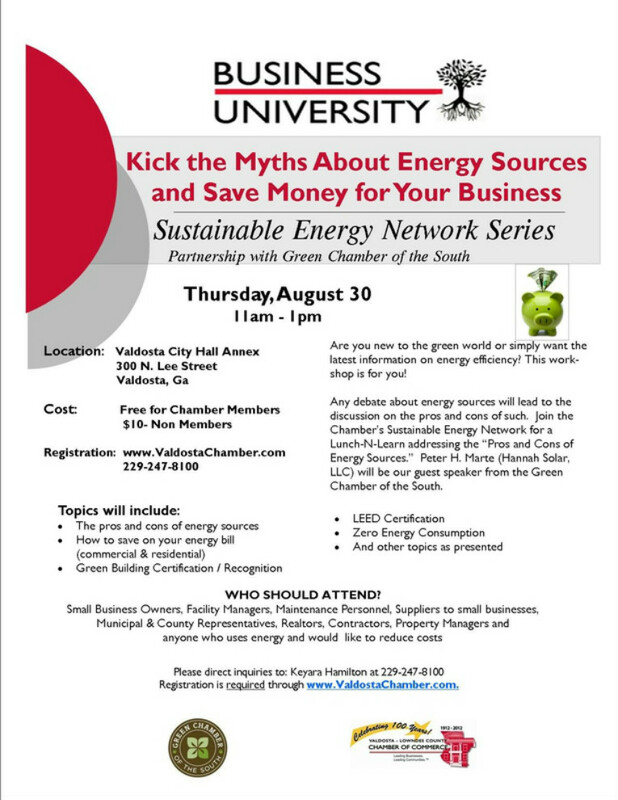 The Chamber has partnered with the Green Chamber of the South to provide informative workshops addressing topics relevent to the Environmental Technology sector. These workshops serve as a platform to better educate business owners on ways to save money by reducing energy use. 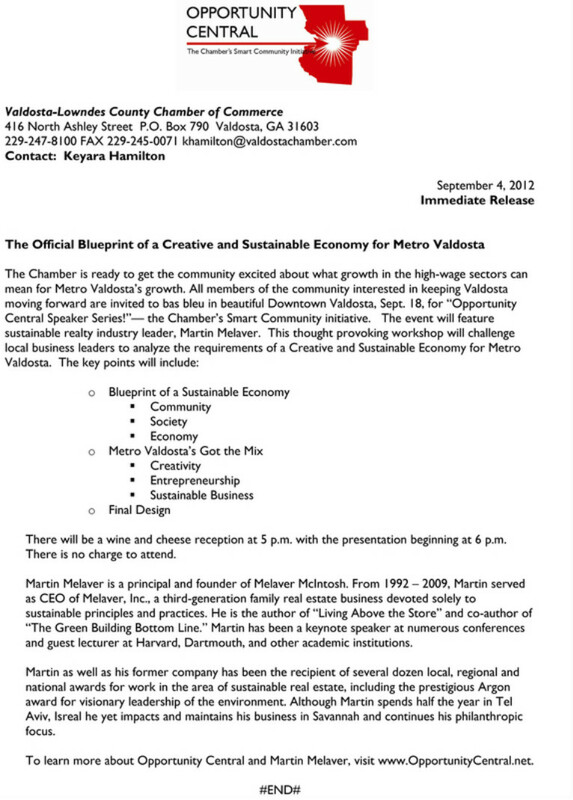 Join us Thursday, August 30 at 11am at the Valdosta City Hall Annex. Read below for details. Click here to register. 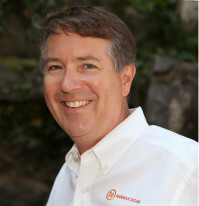 Meet our guest speaker, Peter H. Marte, President & CEO of Hannah Solar, LLC. Through our partnership with the Green Chamber of the South, the Opportunity Central Sustainable Energy Network can provide a platform to further educate the business community concerning the benefits and incentives available in this sector. This partnership with the Green Chamber of the South also expands the networking base for our members who are product and service providers in the ET industry. Click here to register for the August 30 workshop.